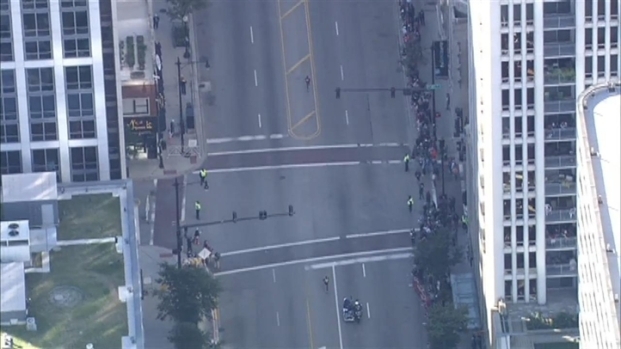 Eliud Kipchoge enters the 2014 Chicago Marathon with the fastest personal best time of 2:04:05. The 2014 edition of the Bank of America Chicago Marathon is shaping up to be a fast and extremely competitive race. Marathon officials announced this week that the elite competition will feature five men with personal records of 2:05 or faster, and four women with the potential to break 2:20. 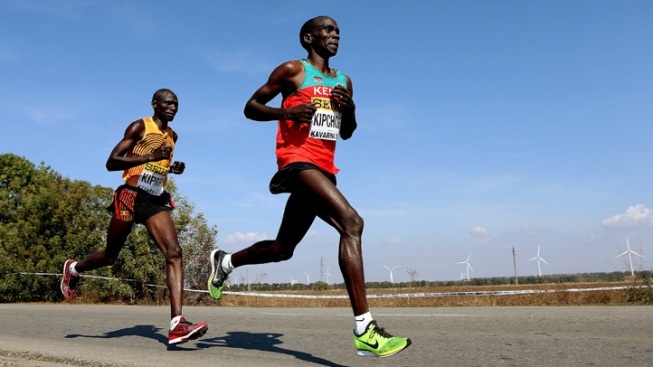 Ethiopia's Kenenisa Bekele (2:05:04) and Kenya's Eliud Kipchoge (2:04:05) will resume their historic rivalry in the race. The two have raced more than a dozen times since squaring off for the first time at the 2003 IAAF World Championships in the 5,000m. Also in the mix will be Kenya's Sammy Kitwara (2:05:16), Bernard Koech (2:04:53) and Dickson Chumba (2:05:42). Last year's second place finisher took top honors in 2013 and set a personal best in the process. Daniella Guzman talks to Rita Jeptoo. With all this elite talent, last year's course record of 2:03:45 -- set by Kenya's Dennis Kimetto -- could be in jeopardy. Only five men in history have broken 2:04 on record-eligible courses. The top women include 2013 champion Rita Jeptoo (2:18:57), Kenya's Florence Kiplagat (2:19:44), Jemima Sumgong (2:20:48) and Ethiopia's Birhane Dibaba (2:22:30). Jeptoo ran her first career sub 2:20 in last year's race, the fifth fastest time in Chicago Marathon history, and she returns this fall after smashing the Boston Marathon course record in April, a blazing 2:18:57. She could become the third woman in history to run three career sub 2:20s. Kenyan Dennis Kimetto set a Chicago course record Sunday when he won the 2013 Bank of America Chicago Marathon. 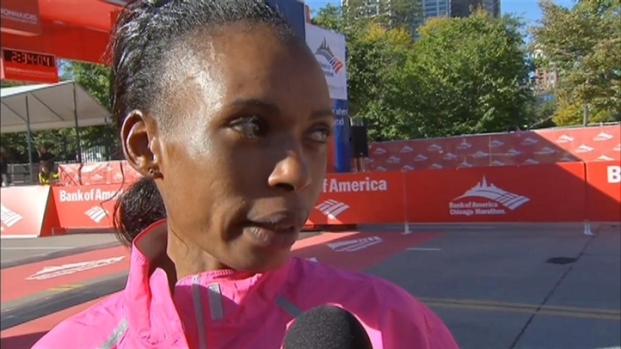 Jeptoo's training partner, Jemima Sumgong, returns to Chicago in October. The 2013 Rotterdam Marathon champion placed second in Chicago last year with a personal best of 2:20:48. "This year's field is built for speed and record-breaking performances," said Bank of America Chicago Marathon Executive Race Director Carey Pinkowski. "We have big expectations due to this group of men and women who know how to race, dig deep and win."